It has been the most beautiful week here. Autumn is finally here to stay, I think (and hope). We have started having some cooler nights and some rain (it has been a little chilly and I have even pulled out the rug each night) but the days have been just gorgeous with the sun shining. Perfect to get a few things done in the garden. I am looking forward to starting planting in the garden come April. Hopefully we will have a little more rain in the next week or so to soak the garden beds a little more before we start planting. .....to hang my clothes on. The old insulators on the top cross beam looks brilliant. 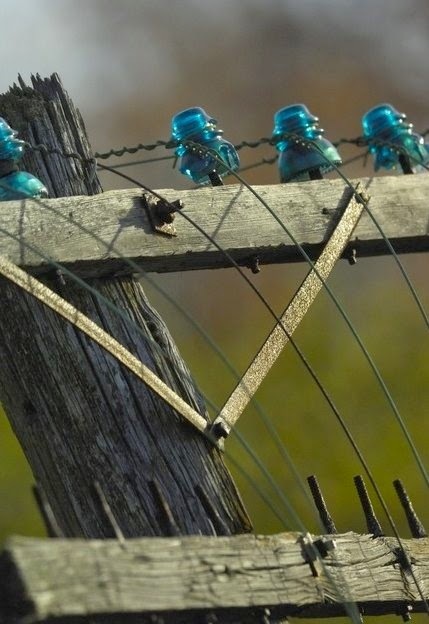 It would be fantastic to use the old insulators and attach the line or wire to them to make it look more authentic. 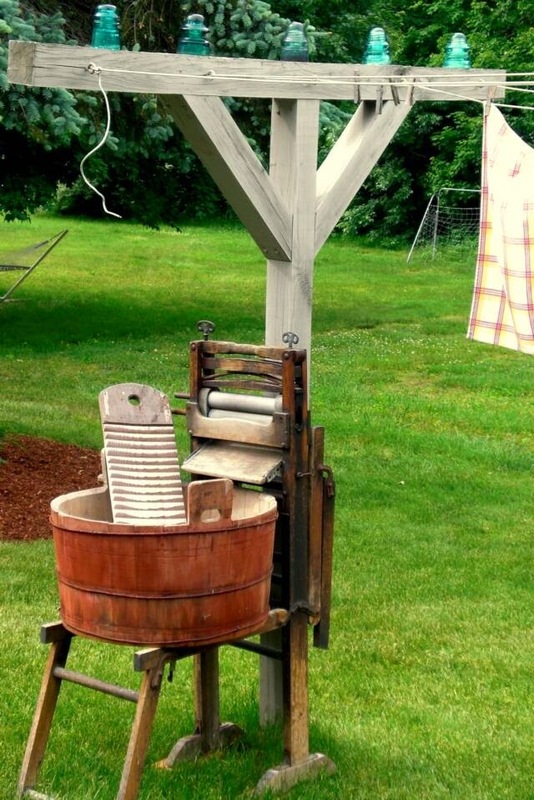 It is certainly a perfect way to make the washing line fit in with the vintage garden. I love this idea, it looks so old fashioned and I think it would suit our Old Lady perfectly.